A brief article about influenza (flu) vaccination appeared in the Conversation on Tuesday night. The piece, entitled “The flu vaccine is being oversold – it’s not that effective“, states that we are being given medical advice about flu vaccination that isn’t consistent with 3 reviews of the literature which focus influenza vaccine for different age groups. The authors also define our ‘fear’ of influenza as being rooted only in pandemics and downplay their relevance as well. Sadly, the piece fails to offer any viable alternatives or solutions. It also forgets to note that the most solid data underpinning its effectiveness; the influenza vaccine. Yesterday I re-posted a thoughtful response originally posted at the Conversation website by Prof. Allen Cheng. Dr. Sue Ieraci also used a series of comments to delve a little deeper into some of the many complex issues around influenza vaccination which the original article had poorly explained. I asked Dr. Ieraci if, she would consider giving permission to post some of those responses as a VDU Guest Author in order to balance this story more effectively. She agreed. Views expressed here by Doctor Sue Ieraci, Senior Staff Specialist in Emergency Medicine, New South Wales Public Hospitals and University of Sydney, are hers alone and do not necessarily reflect any Government or Organisation’s views. Physical barriers certainly can limit the spread of respiratory viruses – in addition to vaccination. These are difficult to maintain among small children and frail elderly in residential care, though. They also don’t prevent transmission during the infective but pre-clinical phase between infection and manifestation of symptoms. If vaccination can halve the infection rate, and barrier methods can further limit it, why wouldn’t the authors argue for combining both approaches? Preventing influenza in 1% of the entire population sounds like an effective use of vaccination. Chris – you say “I accept that many people will think 1% is worthwhile”. Do you explain to your patients the difference between the population incidence of influenza and the effectiveness of the vaccine? We are talking about reducing the incidence by half, which means 1% of the adult population – about 187,500 individual people. That means, at an individual level, the risk of getting influenza is halved. The authors’ discussion of the data is puzzling, and appears to confuse the effectiveness of the vaccine with the population incidence of seasonal influenza. Let’s compare influenza with another infectious disease – say, measles. Measles is an extremely infectious disease – prior to the introduction of the vaccine, close to 100% of the population got the infection. A very effective vaccine – well over 90% – now confers long-term immunity, and the disease is now rare. 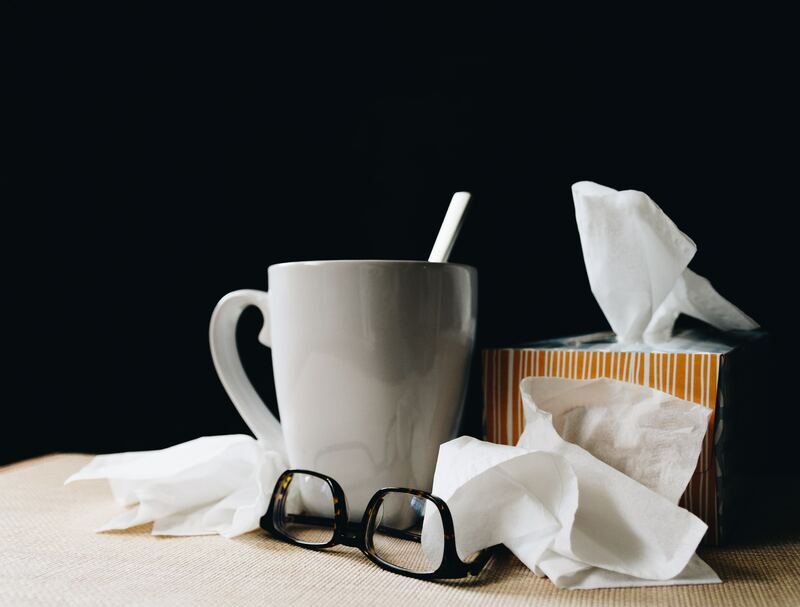 In contrast, influenza is a constantly changing disease – both in strain and antigenic drift. Also, as the authors point out, only about 2% of the adult population are affected each year – not close to 100% as a once-only, as for measles. But the 2% is an annual rate, not a lifetime rate. So, let’s calculate how many people that might be, annually. The Australian population is about 25 million, with about 25% aged under 18, so, the adult population is about 18.75 million. One percent of the adult population is 187, 500 cases – PER YEAR. That is a large number of cases potentially prevented by the vaccine, annually. Next, the risks of influenza infection vs the risks of the vaccine. The authors mention fever, which is short-lived following a vaccine, compared with the prolonged fever of influenza infection. The risk of very rare complications of the vaccine, like Guillain-Barre’ Syndrome (GBS), is a more frequent complication of influenza infection (see Lancet Infectious Diseases 2010: Guillain-Barré syndrome after exposure to influenza virus). Then, the authors describe the important measures of barrier protection, which can certainly modify disease spread, but with limitations. And, as others mention, no effect on severity. The article cites a paper on which Prof Del Mar is co-author – a Cochrane review of barrier methods in respiratory infection – but does not quote the effectiveness of barrier methods as a comparison with vaccine. As the review actually states, the evidence for barrier methods is mixed and not very robust. Lastly, the article quotes efficacy from almost a decade ago, and doesn’t discuss the potential greater efficacy for this year’s stronger vaccine for the elderly (who are known to mount a less vigorous immune response to the previous vaccines). ut 2% of the adult population gets influenza each year, and the vaccine can potentially halve the cases, leading to almost 200,000 cases in adults prevented each year. Next → Next post: Ebola virus disease and the game-changing vaccine…. Referring to comment 2 & 3: In relative terms, the risk of getting influenza is halved. But at the same, the risk of getting fevers are also doubled (Based on the Cochrane study 1). Is this acceptable considering that any fevers – short or long, can be dangerous to the vulnerable – the infants and the elderly?